Rabbi, I met you almost 5 years ago at the Kotel when I was on birthright while I was still a medical student. I emailed you a few years ago to thank you for your videos and to let you know how much my Mother and I enjoy them. A lot has changed since the last time I messaged you. I moved to Massachusetts and am a General Surgery Resident. 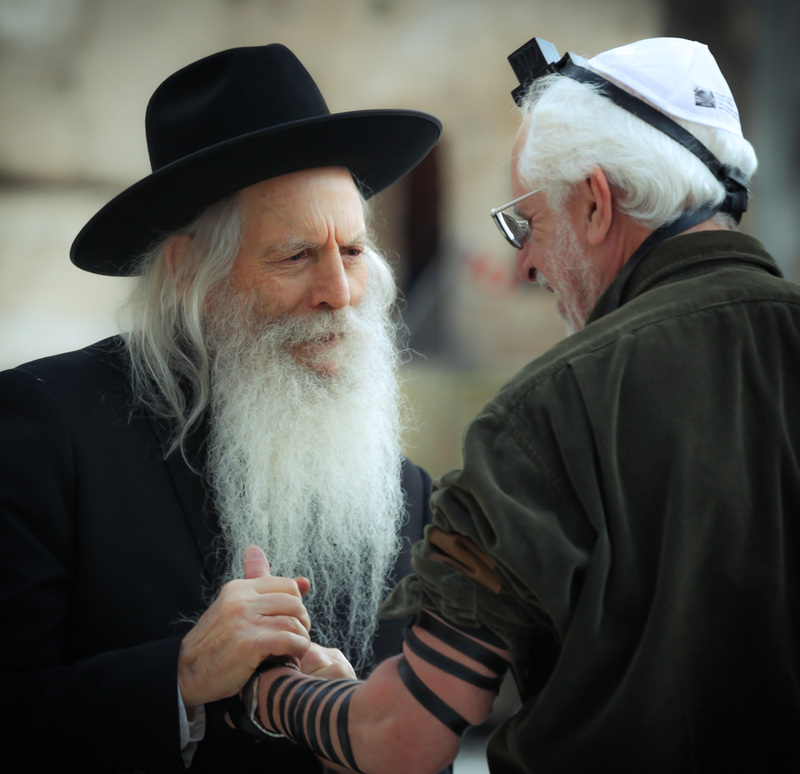 When I was in Jerusalem, I put tefillin on for the first time at the Kotel and it left a lasting impression. I made a vow that I wanted to be able to own a pair of tefillin myself and wear them everyday. I didn't have the money to buy a pair until recently. When I finally had the money saved up, I knew exactly what I would do with it. I wanted you to know that I spoke with my Rabbi at Chabad and I purchased my own tefillin. Today on Yom Hashoa, I prayed for the first time with my own pair of tefillin. I plan to pass this tradition onto my children. This all started with the mitzvah of putting on tefillin at the Kotel! Lastly, I remember that you were talking to some other guys on my birthright trip about the importance of marrying a Jewish girl. Although it was not directly spoken to me, the message deeply resonated with me. It was something also instilled in me by my parents. I prayed for my family and that I would meet a nice Jewish girl when I was at the Kotel. In all honesty, I have had girlfriends in the past that weren't Jewish, but it didn't feel right... Something was missing. I remembered your message at the Kotel and the message in your video about marrying a Jewish girl, as well as my parents' messages... Recently, I met this amazing Jewish girl who I have started dating... I just have this feeling that she is the one. Nearly 5 years after praying for this and hearing your message at the Kotel, I feel the right girl was brought into my life. It was just in G-d's time. I wanted to share this with you and thank you for all of your spiritual messages and wisdom. I hope this message finds you in good health. I hope you and your family had a Happy Pesach! I am sitting here in tears of thanksgiving, thanksgiving that I was able to help a Jew to find the truth that has always been within him. Thank G-d you are such a sensitive and wise person. May your experience be learned by many others. Thank you so much for taking the time to write. Please, every time you put on tefillin and say the appropriate prayers, before you take off your tefillin pray for the wellbeing of all of us, that we will live safely and be helpful to make the world a better place. Hashem bless you and your wonderful soon to be wife to have long, healthy, successful lives, lives filled with joy and knowledge of Hashem's wishes for you. Thank you for your kind words. I will do all those things.